ETI offers various Cables and Accessories for your TacticalPower units. 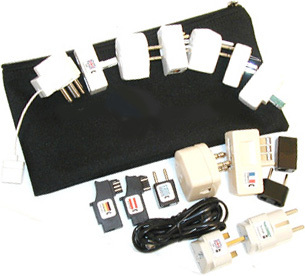 The complete, self contained, Medusa Cable Kit allows you to connect various configurations in a short amount of time & space. 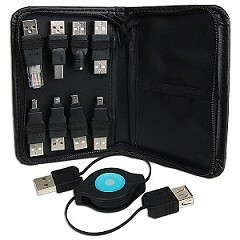 Individual cables and configurations are separately available. 6, 10, 15, 20, 30, 50 ft. lengths standard with custom lengths available upon request. These portable rods are built to MilSpec® standards to be reused multiple times, in tactical situations. They also include a special easy-removal tool which allows your unit to keep their ground rods, even when they are mobilizing on a moments notice. 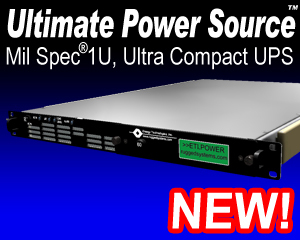 PowerStation™ Rugged Rackmount or Universal Mount External UPS Battery Chargers. PowerStation™ Rugged Rackmount or Internal UPS Battery Modules extend UPS backup times. PowerNet™ UPS/Operating System interface/shutdown software for UNIX, Windows NT and Novell.